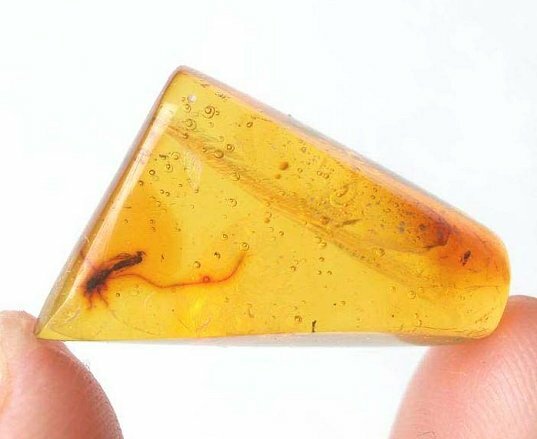 This is a special amber fossil. 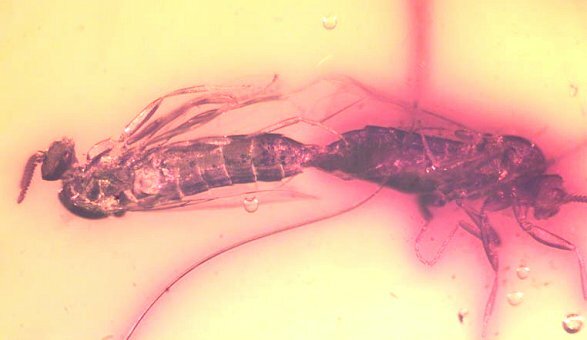 It is an EXTREMELY RARE pair of Mating Scavenger Flies trapped in Dominican amber. 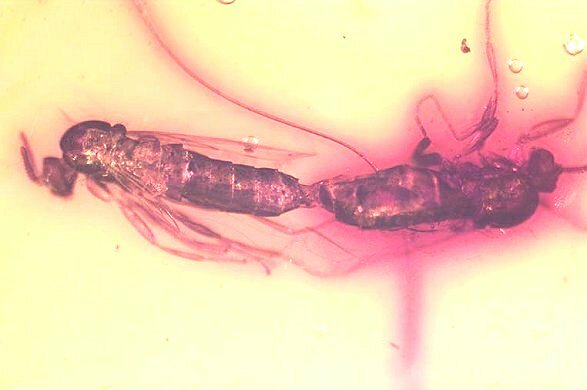 This specimen is extremely collectible in that the flies are actually mating! This is a very rare occurrence in the fossil record. What are the chances that a pair of flies would be trapped in resin at the exact time they are fornicating! And both flies have incredible detail preserved. This is a very collectible amber fossil that tells a unique story (small close-up photo is included for free).